Despite production problems, Dutch company Fairphone is getting ready to ship the first batch of its green smartphones, which have been developed with as much conflict-free materials as possible. The first group of around 11,000 phones will leave the factory on Dec. 23, and will be sent to people who bought them during the pre-order campaign, CEO Bas Van Abel said in a blog post. Fairphone will then ship a second batch on Jan. 10 to "everyone else who joined us along the way." "We know it's been a long journey (it feels quite long for us too! ), and so we're really excited we're coming into the final stretch to deliver phones to our most committed supporters. Thanks again for your patience," Abel wrote. The company's original goal was to ship the 25,000 phones it has sold this year, but in the end that wasn't possible due to manufacturing and administrative issues. These included capacitors that got stuck in customs; a month-long wait for a certificate needed to transport batteries by airplane; and a major mix-up by a supplier that accidentally sent Fairphone's order to someone else. The struggles highlight how difficult it is for a small vendor to make its way in a sector that's dominated by big companies like Apple and Samsung. But it isn't alone. Last week Geeksphone killed its Firefox OS-based Peak+ smartphone because of problems with components and its manufacturing partner. 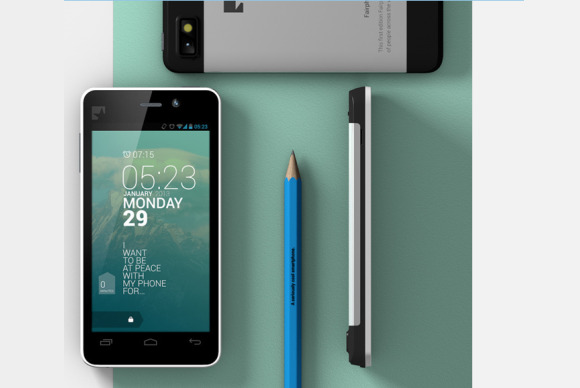 For its first smartphone, Fairphone has sourced conflict-free tin and tantalum from the Democratic Republic of Congo. The company is still working on a way to make sure the tungsten as well as all the gold it uses is conflict free, according to a spokeswoman. Fairphone's low volumes make it difficult to ensure that all the gold used in the printed circuit boards is conflict free. But the company is working to change that, she said. The dual-sim Fairphone has a 4.3-inch touchscreen with a resolution of 960 by 540 pixels, an 8-megapixel camera and quad-core 1.2GHz processor from Mediatek. There is also 16GB of integrated memory and 1GB of RAM. The smartphone costs €325 ($440) without taxes. On the software side, the phone runs a customized interface on top of Android 4.2. An upgrade to Android 4.3 will arrive soon after the phone has shipped, according to Fairphone.